Reviewed on Goodreads. You can also read it below. I like a story that keeps me guessing until the very end. The Big Lead did just that. There were no hints, nothing to indicate who the murderer was until the last moment leaving even the characters guessing. That’s the kind of story that stays with you even after you’ve finished reading. It was totally unexpected and well worth it. Moreover after reading so many romance novels set in Bozeman Montana, it was a pleasant surprise to read a mystery taking place in that very town I’d read so much about. Stella Reynolds moves to Bozeman to take up her first job at the TV station, the only one that replies to her queries and offers her a job. It’s a small station with old equipment but Stella perseveres. She is determined succeed and is keen to hunt for good stories in a place where little or nothing of interest takes place. That is until Nicole and Denise are murdered and James is taken in to custody. But although James doesn’t have an alibi it is hard to believe he did it. Stella and Vinni don’t think he is the murderer either, but who is framing James? Libby creates a believable world. You can almost smell the dust rising from the old carpets on the floor of the local TV station that’s trying hard to survive amidst the competition of the bigger national stations. Staffed by just a few who multi task most of the time, the deplorable conditions they work in are described well. 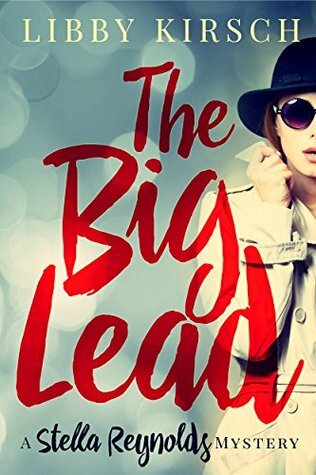 The characters too are an interesting mix from Stella, the rookie reporter who is nervous and spills coffee all over her blouse, Vindi the senior anchor who is trying to get good leads to add to her resume, Paul the harassed boss who tries to keep it together to Janet the lodger who plays loud music in the night in the Economy Lodge where Stella spends her first two weeks. There’s not a moment of boredom. The story is tightly woven and as a former journalist I found myself empathizing with what Stella has to endure. Funny, witty with a good dose of mystery thrown in along there’s also a little romance blossoming between reporters from rival stations. How will it all end and can Stella hope to solve the mystery?